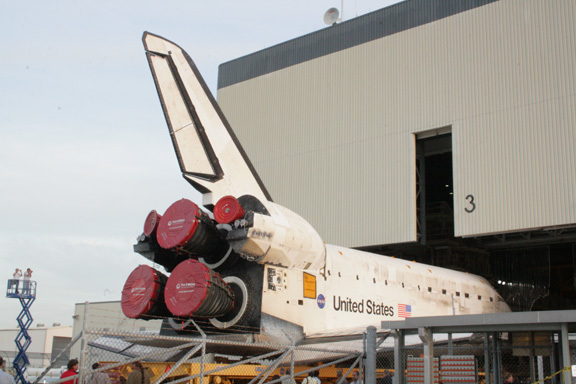 Ken Kremer: Space Shuttle Discovery was moved a few hundred yards from her processing hanger at the Kennedy Space Center to the Vehicle Assembly Building where she will be joined to the giant orange external fuel tank (ET) and twin solid rocket boosters (SRB) which will power the orbiter for her final trip to space. 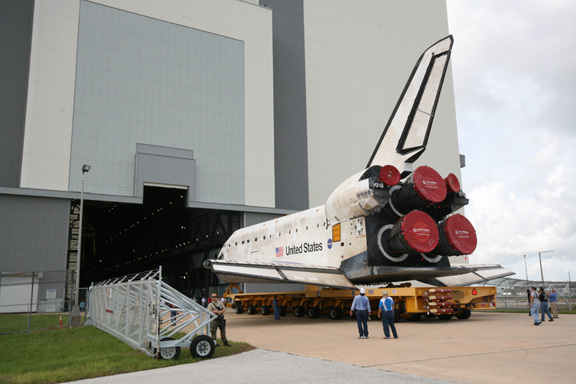 The trip was delayed a day by the water main break which shut down KSC on Wednesday (Sep 8). 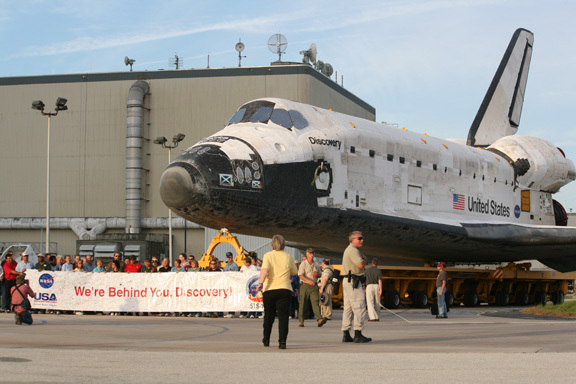 Discovery's short trip on a wheeled transporter began shortly before 7 AM this morning (Sep. 9) as she was backed tail first out of the processing hanger. 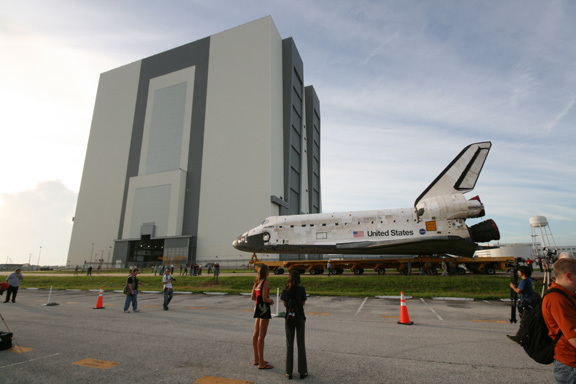 Hundreds of KSC employees who process the orbiter for flight gathered to witness the event along with the media. 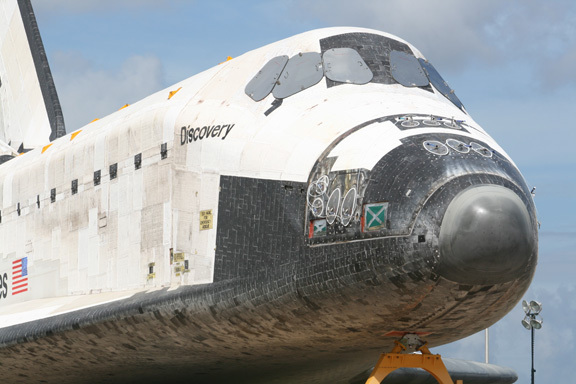 The orbiter was parked about half way through the trip so the employees could pose for photo ops with Discovery. 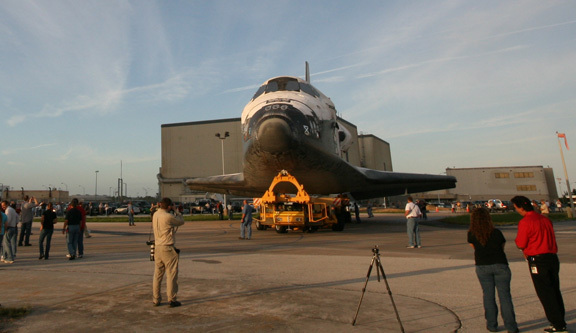 Discovery finally reached the VAB at about 11 AM and was hauled inside - nose first. 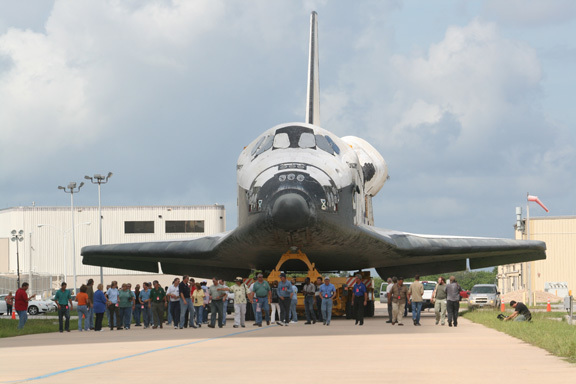 I was on hand to witness the entire beautiful event. See my photo album below. 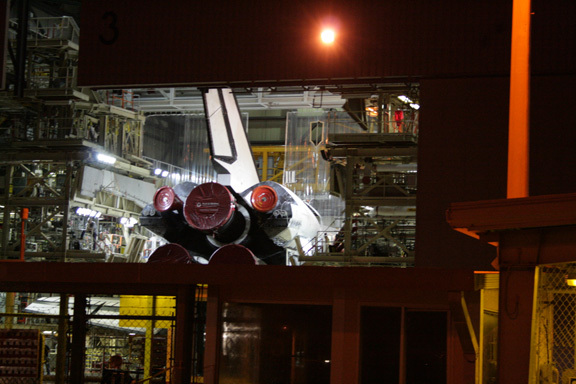 Later in the day, Discovery will be hoisted and mated to the other shuttle components to complete the stack which will be launched to orbit for her 39th and final flight on Nov. 1. Watch for my follow up report and album. 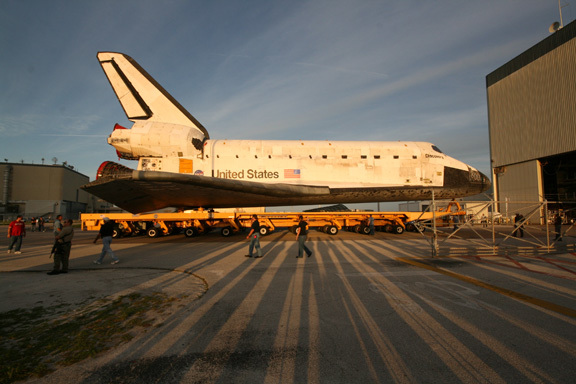 Rollover of Discovery from the Orbiter Processing Facility to the Vehicle Assembly Building. 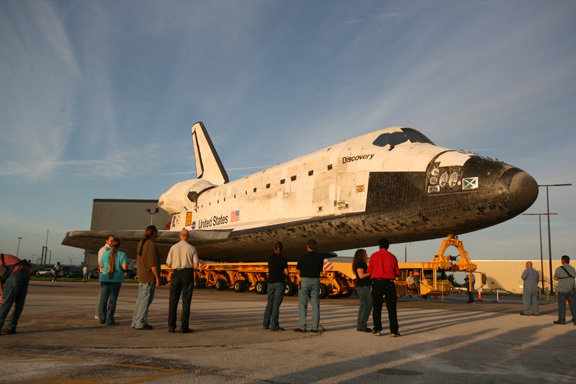 Photo credit Ken Kremer.